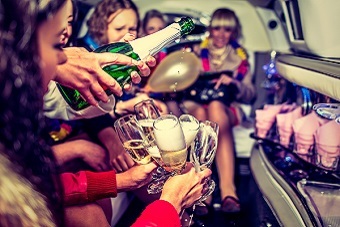 Top 5 Hen Party Locations! As well as choosing an exciting and memorable activity for your hen party, it’s also important to choose the right destination for you and what you want to make your hen party perfect! We’ve picked out the top 5 hen party locations around the UK that have been popular, and have so much to offer for all kinds of hen parties. One of our most popular cities in the UK, Leeds has been a perfect spot for hen parties for years and we can completely see why. Leeds hen party ideas offer a huge range of different hen do experiences, and if you’re looking for something completely unique, or even a classic hen night out then Leeds is definitely worth consi­dera­tion. With a variety of bars and clubs to choose from in easy to access areas such as Tiger Tiger and Prism in Millennium Square (Park Row), The Calls, and Revolution or Epernay in The Electric Press – there is so much choice to make sure your night out is perfect for your hen party! Whether you want a couple of quite drinks or a full night to remember, Leeds definitely has a lot to offer for any bride to be. If you want more of a relaxed and chilled out, that’s no problem either. With a variety of shops and restaurants all over Leeds you can have a nice day out, or if you want something completely unique take a look at some crafty hen party options like jewellery making or an Old School Sports Day for the whole hen party! London is a great city to plan an exciting hen party weekend, with everything you’ll need in the West End area around Soho, Covent Garden and Piccadilly Circus. Whether you want to try out the popular cocktail making class, or try some delicious chocolate making London has what you need for a perfect hen party. London is a fantastic hen party destination for building a jam packed hen weekend like our London Dance Party Hen Weekend, with famous landmarks, a huge shopping area and lots of culture to enjoy. Hotel packages are also great in this city, with places to stay right in the centre to create a stress free hen party day, night or weekend for you to enjoy in London. Manchester is one of our most busy cities when it comes to exciting hen party activities, from new and unique to old and classic hen party ideas all happening in this amazing city. Working with some of the Manchester hen party ideas for many years, we know that it’s the place to be if you want an easy going hen party that you’ll never forget! This city is renowned for its lively, music filled nightlife and luxury shopping all in the centre, meaning easy access to an incredible hen party day or weekend. Manchester is great for offering something for everyone, with a huge variety of things to do including cocktail making, life drawing and even the famous ‘It’s a Knockout’ challenge! The vibrant city of Liverpool is the perfect place to take adventage of VIP nightclub entry, with the chance to have a high class, luxury night out near the Albert Docks or go wild in some really popular nightclubs around Fleet Street! Liverpool is beautiful in the day and during the night, and great if you want a full weekend and lots of nice places to eat throughout the days. If you’re looking for hen party in Liverpool ideas , make sure to visit The Cavern where The Beatles played and soak up the history on your hen night out! There’s also more relaxed options if you want to try an activity that’s different and exciting such as mobile garter making, with the option to even do the activity in your hotel or apartment. Birmingham is a perfect place to go for a short stay weekend like a hen party, as it has many landmarks and activities to visit in the day and at night for any bride to be. If you’re looking for an exciting city to have a great day, night or whole weekend then definitely have a look at hen party in Birmingham ideas. This city is ideal if you’re wanting some memorable day activities, for example we offer dance hen parties and some hilarious zorb bubble games. If you’re looking for something a bit more classic to a hen night out, you can try a popular cocktail making class or maybe some karaoke booths for all the girls! If you want some help booking in one of these top 5 hen party locations or more, call us on 0161 341 0052 and our events planners can help you plan the perfect hen party Packages for you.